I have recently developed a very valuable resource for agencies beginning the accreditation process, are in the middle of the process, or have already achieved accreditation and wish to further build their current framework for continued quality improvement! The tool kit will provide you with a structured blue print/ framework for success! All of these documents can be tailored to meet your agency’s needs and through additional consultation by myself can easily be implemented to create a living and breathing framework that focuses on continually improving the way your agency functions. My name is Mike Taylor, and I founded Mike Taylor Consulting for one reason – to promote excellence in the development and delivery of services and programs for people with disabilities. CARF-accreditation is an internationally recognized standard of assessment in health and human services, and the benchmark for excellence. I work with clients to develop and implement the programs and policies to achieve CARF standards. More importantly, I work with them to develop a workplace culture that aspires to continuous improvement. 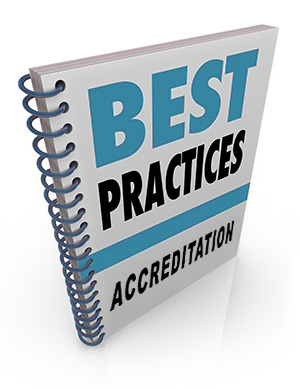 Accreditation is about creating accountability and a commitment to distinguished service delivery. Let me work with you to create the kind of services and programs that embody best practices in the industry, and demonstrate your commitment to the people you serve. I believe that Mike Taylor and Carmichael Enterprises provide a consistent professional level of care.